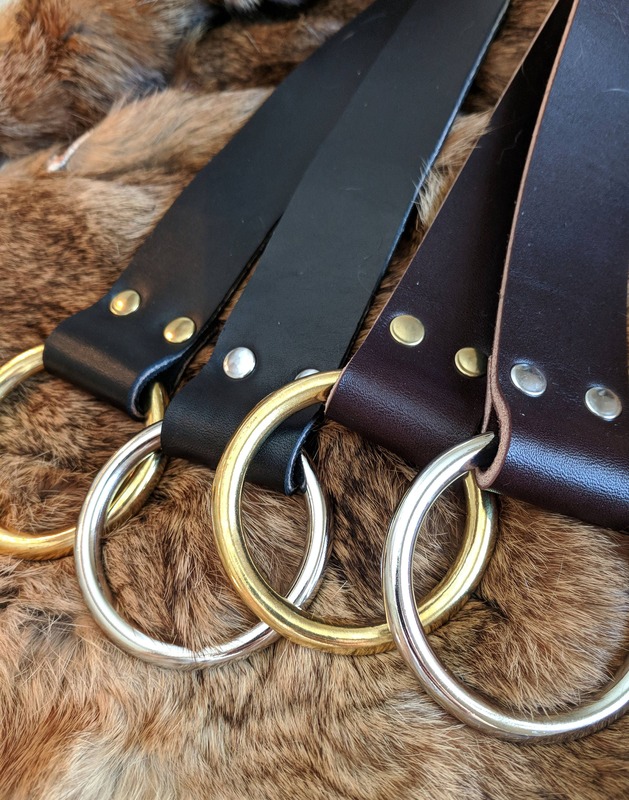 Classic Renaissance Fair ring belts, made with high quality heavy (yet flexible) leather, 1.5" wide, at least 60" long. If you need longer just ask, often we can make them a full 70" or more. A staple finishing piece for your costume, great for men or women. Wear them long, or shorten them to your own desired length. 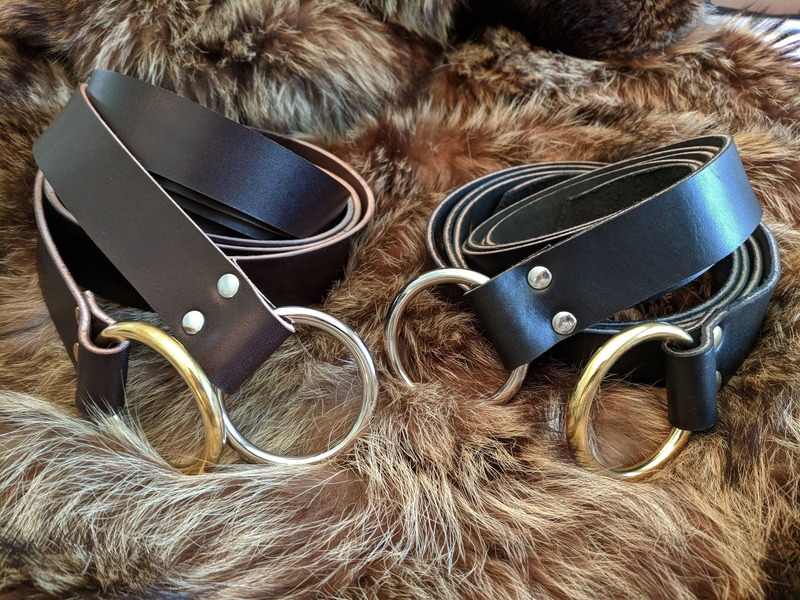 Belts available in black or brown leather. Hardware colors, nickel or solid brass. 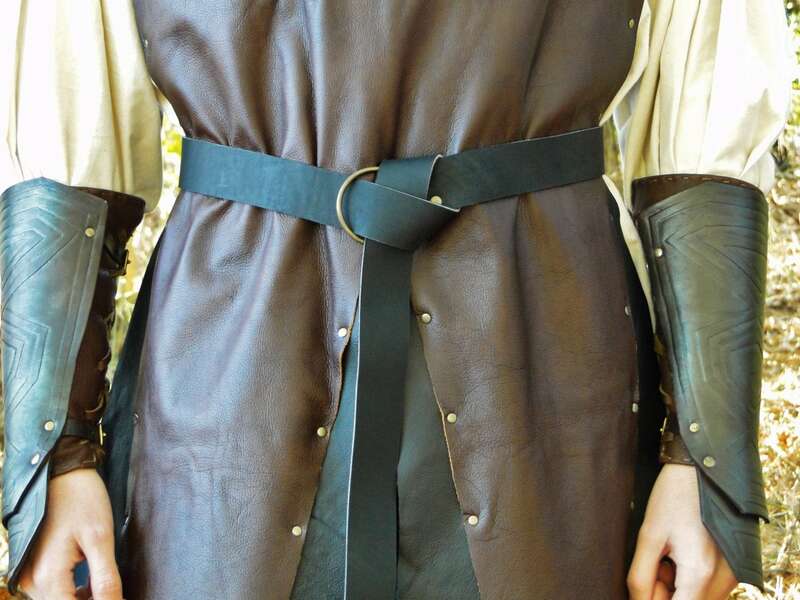 We also can do custom belts with buckles, from Pirate to Viking - just ask! Sturdy leather and stitching. Came well on time. Goed genoeg. Zoals de foto.